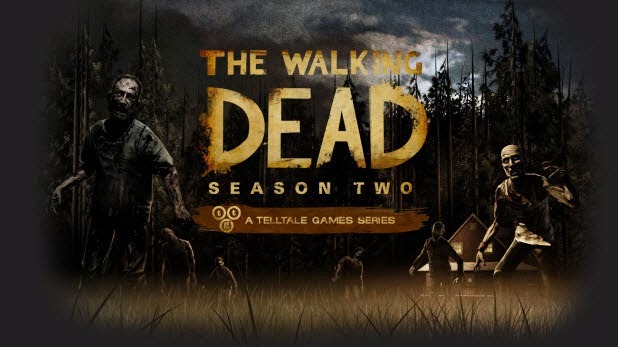 When I reviewed the first episode of season 2 of The Walking Dead game I was happy that Telltale had been able to keep up the high standards of Season 1. Also that they were able to build upon it by having a completely new character who is 11 years old and not have that aspect cause story or gameplay to suffer. Unfortunately with Episode 2 I don’t feel that Telltale has been able to keep that consistency up. When I reviewed the first episode of season 2 one of my main complaints with it was the technical hiccups that I kept running into (screen tears, loading issues). I’m happy to say that with episode 2 it seems that Telltale have made the effort to irradiate these problems. During my play through of the episode 2 I didn’t seem to encounter any major technical issues that removed me from the experience and my entire time with the game seemed to run smoothly. Now I could be in the minority in that situation, there may be people out there who ran into problems with the game and I was just lucky to not have any, further time with the game or finding out how others peoples experience with the episode went shall of course clear that up. So yes having the game run smoothly and without issue was a plus when playing though the game, where this episode faltered for me was the characters and the story, two very important aspects when it comes to these games. When I finished episode 1 I was interested in the varying dynamics between the characters and I was looking forward to seeing where the story was going to go. When I finished episode 2 I was left feeling confused and disjointed by the way in which characters were going and a little disinterested by the direction of the story. My main issue with the second episode was our main character, Clementine. Apart from some forced gameplay moments, Clementine felt like an afterthought in this episode, someone who was of no real consequence to the events that were happening. I understand that it is important to build up your supporting group of characters but I don’t think it’s a good idea to do this at the expense of the main protagonist, especially the one you are controlling. To give an example of what I’m meaning, the episode has a situation where a secondary character makes a major decision within the episode, with this decision you have no say in the playing out of this scenario, you have no way of stopping it and it is resolved with almost no input or say from you. The entire story line takes place while you just seem to stand there and watch it happen. Overall I felt disappointed with this episode, even with the improvements on the backend this episode seemed like filler, an episode that was just setting up things, things that you didn’t have a say in having. I do hope that the next episode returns to what has worked so well previously. It’s definitely strange how polar opposite the review of this episode was compared to episode 1. The reception that season 1 of ‘The Walking Dead Game’ received was surprising and deserved. The game was adorned with such achievements as Best Adapted Video Game and Best Downloadable Game. So as you can imagine, expectation and hype for season 2 was high and with the game taking a clear risk by having the protagonist of the story be an 11 year old girl there was also some trepidation. I think everyone will be happy to see that Telltale didn’t let us down with season 2. Playing as Clementine has added a whole new feel to the game, where before you were a six foot man who could contend with the best of foe you now have to completely rethink how you are going to play out a scenario. This new dynamic to the gameplay has now refreshed the gameplay and definitely upped the fear factor. One thing that still unfortunately persists with the gameplay is some fidgety controls that are time sensitive and if you miss one of these quick time events then it will of course result in the death of Clementine and you going back a few seconds before the event. Despite these sometimes problematic controls the game doesn’t suffer from moving you forward to the next event too much. The strongest point of The Walking Dead Season 2: Episode 1 is Clem herself and the story that she is very much thrown into headfirst. With this season having its character being an 11 year old girl, I stupidly expected this season to not be as intense or gut wrenching, I find it important to say now that this new season does not hold back at all and within the first few minutes of starting the episode, you as the player are very much slapped with the hardship of the world that Clementine inhabits and the hardships you as a player will be playing through. Now at this point it’s important to add that this game doesn’t come as the perfect package. This is a Telltale game and with that means some unfortunate technical issues that seem to plague the game throughout. Too often did I find myself encountering screen tearing or jolty loading issues that too often took me out of the experience, these technical issues that so many of Telltales games seem to be plagued with (The Wolf Among Us, The Walking Dead Season 1) is becoming concerning. If it wasn’t for these issues, The Walking Dead Season 2: Episode 1 would be brilliantly crafted experience. Now it’s important to note that the game can still be played and enjoyed and I would very much recommend this game to anyone who is a fan of the first season of the game but it would certainly be a much smoother experience without these jarring technical issues.